OEM Simplicity SunStar, 1920, and others. 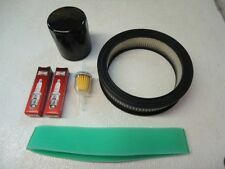 fuel tank sending unit gasket kit. Based on the part #, this will fit the following models: Sunstar 20. Both have tubes in them. Why choose Joes Outdoor Power?. No exceptions. Joes Outdoor Power. Item Weight Part SKU#:S-10337. Part Details. Based on the part #, this will fit the following models: Sunstar 18hp Hydro, Sunstar 20hp Hydro. We carefully wash every part that can safely be washed, oils are drained, and loose parts are carefully attached to larger parts. Trivalent Chromium Zinc Plating. We will require pictures of the installation. This isREQUIRED to initiate any warranty claim. With this program there are no limitations as to the cause of failure when utilizing the program. No exceptions. Why choose Joes Outdoor Power?. Item condition: Good working condition. Joes Outdoor Power. Part SKU#:S-10309. Part Details. We are simply the best at what we do. No others compare, even though they try! Based on the part #, this will fit the following models: Sunstar 18hp Hydro, Sunstar 20hp Hydro. Why choose Joes Outdoor Power?. Item condition: Good usable condition. No exceptions. Joes Outdoor Power. I sold my Sunstar this winter. This is a PTO shaft for the mower deck, fits 42", 28" and 60" decks. Based on the part #, this will fit the following models: Sunstar 20. Why choose Joes Outdoor Power?. Item condition: Good working condition. No exceptions. Item Weight Joes Outdoor Power. We are simply the best at what we do. Based on the part #, this will fit the following models: Sunstar 18. Why choose Joes Outdoor Power?. No exceptions. Joes Outdoor Power. We carefully wash every part that can safely be washed, oils are drained, and loose parts are carefully attached to larger parts. For sale is a new maintenance tune up kit for the Simplicity Sunstar garden tractors with a Kohler Magnum M18 and M20 engine. Nice Shape super clean Hydraulic Lift Cylinder off of a Simplicity Sunstar Garden tractor 18 or 20 hp Kohler powered units. The lift is in good shape and ready too use. SIMPLICITY SUNSTAR SERIES MOWERS. SIMPLICITY: Sunstar. That's it. Want to receive updates on special deals and new products?. Based on the part #, this will fit the following models: Sunstar 20. Item condition: Good usable condition, both hold air. Both have minor dry-checking and very minor edge wear from hitting the deck. Based on the part #, this will fit the following models: Sunstar 20. John Deere 322 332 318 Tractor Power Steering Cylinder Steel Lines USD 24.99. John Deere 322 332 318 Tractor Power Steering Cylinder Rubber Lines USD 24.99. Based on the part #, this will fit the following models: Sunstar 20. Why choose Joes Outdoor Power?. Item condition: Good usable condition. No exceptions. This item is: Used. Joes Outdoor Power. Item Weight. Based on the part #, this will fit the following models: Sunstar 18. Why choose Joes Outdoor Power?. Item condition: Good usable condition. No exceptions. Item Weight Joes Outdoor Power. FOR SALE ARE USED SIDE PANELS FOR ASIMPLICITY SUNSTAR. Simplicity Sunstar Peerless 4164 Right Angle Bevel Gearbox DEUTZ AGCO ALLIS 48"
Right Angle Gearbox removed from a Simplicity Sunstar 48". Tested and in good working condition with no problems. There is no warranty for used parts.All parts are tested and are in good working condition before removal(unless otherwise noted). Based on the part #, this will fit the following models: Sunstar 18hp Hydro, Sunstar 20hp Hydro. MTD Yard Machines 20hp/50" Tractor Hood USD 44.99. John Deere 322 332 318 Tractor Power Steering Cylinder Steel Lines USD 24.99. FOR SALE IS A USED HITCH PLATE FOR ASIMPLICITY SUNSTAR. Model: M16S. Good condition part ready for your project. Part is straight off an engine so might be dirty when you get it. Good working order. SIMPLICITY SUNSTAR. FOR SALE ARE USED HEADLIGHTS FOR A. Based on the part #, this will fit the following models: Sunstar 18hp Hydro, Sunstar 20hp Hydro. MTD Yard Machines 20hp/50" Tractor Hood USD 44.99. John Deere 316 w/Onan 330 318 Tractor Hydraulic Line - Power Steering Outlet USD 9.99. 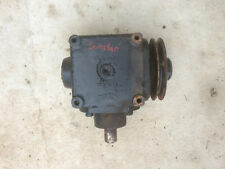 Nice Used Simplicity Sunstar Garden Tractor Front PTO Drive Assembly. off a 20 hp twin kohler will work on the 18 hp kohlers also. Should still look OK if properly installed. Check photos! Based on the part #, this will fit the following models: Sunstar 18hp Hydro, Sunstar 20hp Hydro. John Deere 316 w/Onan 330 318 Tractor Dash Console USD 19.99. MTD Yard Machines 20hp/50" Tractor Hood USD 44.99. Used Simplicity Sunstar Garden Tractor Steering Shaft Assembly, Removed in working order, Cleaned and ready too use. Check out all My pictures. LAST PICTURE SHOWS TRACTOR PARTS WERE REMOVED FROM (COMPLETE TRACTOR NOT FOR SALE). SIMPLICITY SUNSTAR. 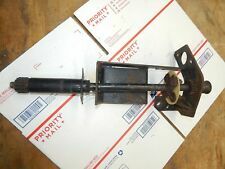 FOR SALE IS A USED HEADLIGHT BRACKET FOR A. Based on the part #, this will fit the following models: Sunstar 18hp Hydro, Sunstar 20hp Hydro. No exceptions. We are simply the best at what we do. No others compare, even though they try! We carefully wash every part that can safely be washed, oils are drained, and loose parts are carefully attached to larger parts. Used Simplicity Sunstar Garden Tractor, PTO Drive Assembly With Idler (IDLER WILL NEED REPLACED), Removed in working order, USED Parts DO Show Minor WEAR, Cleaned and Ready To use. Check out all My pictures. P Power Sales. Pictures shown are for illustration purposes only and do not necessarily represent the actual product. We also accept all Major Credit Cards(Call for Inquires). Simplicity Sunstar 20 Deck Roller And Lift Assembly 60"
Part # 1679485. Simplicity Sunstar power steering arm assembly. Based on the part #, this will fit the following models: Sunstar 18. Why choose Joes Outdoor Power?. No exceptions. Joes Outdoor Power. 15.00 lbs. Item Weight Part SKU#:S-10355. Part Details. The gear box and drive shaft are both in good useable condition. Both turn very smoothly with very little wear. They are both tight. Based on the part #, this will fit the following models: Sunstar 18hp Hydro, Sunstar 20hp Hydro. No exceptions. Why choose Joes Outdoor Power?. Item condition: Good usable condition. Joes Outdoor Power. 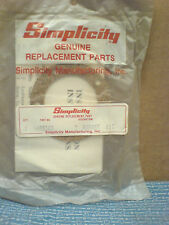 Replaces these part numbers Bush Hog 50028140 Howard Price 20002 Prime 7-06277 Warner 5218-60. Front PTO removed from a AGCO ALLIS 1918. Tested and in good working condition with no problems. There is no warranty for used parts.All parts are tested and are in good working condition before removal(unless otherwise noted). Gastank removed from a Agco Allis 1918H. Tested and in good working condition with no problems. There is no warranty for used parts.All parts are tested and are in good working condition before removal(unless otherwise noted). Sunstar PTO Clutch. Conversion Kit. TWICE The Torque. P Power Sales. Pictures shown are for illustration purposes only and do not necessarily represent the actual product. We also accept all Major Credit Cards(Call for Inquires). 48" Deck Driveshaft removed from a AGCO ALLIS 1918. Tested and in good working condition with no problems. There is no warranty for used parts.All parts are tested and are in good working condition before removal(unless otherwise noted).